After breakfast, city tour of Agra. Visit Red fort, which was built by Emperor Akbar in 1565, and additions were made up until time of his grandson, Shah Jahan. It contains the hall of public and private audiences amongst many other beautiful structues; Itmad-ud-daulah, which was contructed by Nur Jahan between 1622 and 1628 and is very similar to the tomb she constructed for her husband, Jehangir, near Lahore in Pakistan; the highlight of the day - The Taj Mahal, which was constructed by Shah Jahan in memory of his wife Mumtaz Mahal. Contruction of the Taj began in 1631 and was not completed until 1653. In the evening, transfer to the railway station to board train for Varanasi at 2105 hrs. Overnight in the train. Arrive Varanasi at 0930 hrs and transfer to prebooked hotel. Afternoon, excursion to Sarnath - the buried Buddhist city where Buddha preached his first sermon after attaining Enlightenment at Bodhgaya. Early morning, leave for boat ride on the Ganges to see the bathing Ghats (river bank) & cremation site. Sunrise on the riverfront, as seen from a boat, can be a spiritually uplifting sight. The life on the Ghats bound in an endless string of rituals, ever-changing aspects of the river & the wide landscape across have fascinated visitors from all over the world. Return to hotel for breakfast. After breakfast, city tour of Varanasi. Formerly known as Kashi – the city that illuminates. 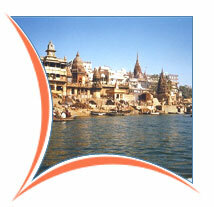 The religious capital of Hinduism , Varanasi is the oldest living city of India & one of the worlds’ most ancient. 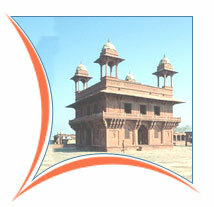 The present name is derived from the fact that the city is at the confluence of the rivers Varuna & Asi. Visit the Bharat Mata temple with a big relief map of India in Marble, Durga temple, Tulsi Manas Mandir, Benaras Hindu University which has an art gallery & the mosque of Moghul Emperor Aurangzeb. 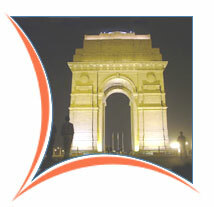 Arrive Delhi at 0745 hrs and transfer to prebooked hotel. Afternoon, city tour of New Delhi. Visit Humayuns Tomb : built in mid 16th century this is an early example of Mughal architecture; Qutab Minar, drive past India Gate, President House, Connaught Place. The city tour ends with a visit to Laxmi Narayan Temple (Birla Mandir).